Last night I got to hang out on an aircraft carrier which is probably the coolest location I have been to for a party in all my years of partying. 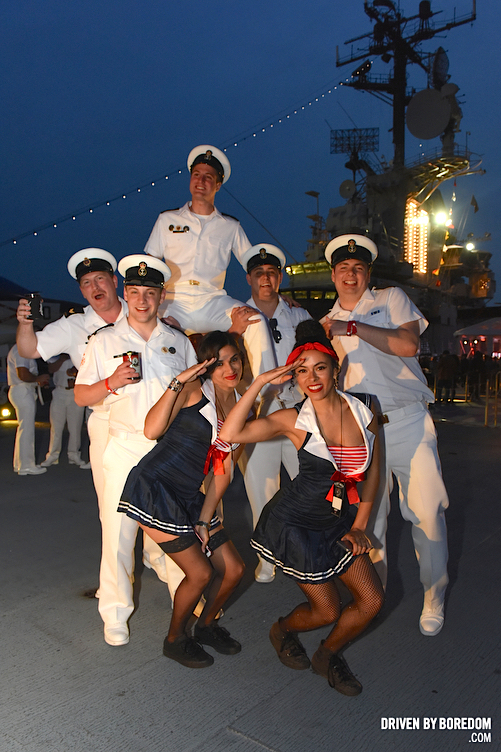 Fleet week started yesterday and Sailor Jerry threw their Fleet Week kick off party on the USS Intrepid. 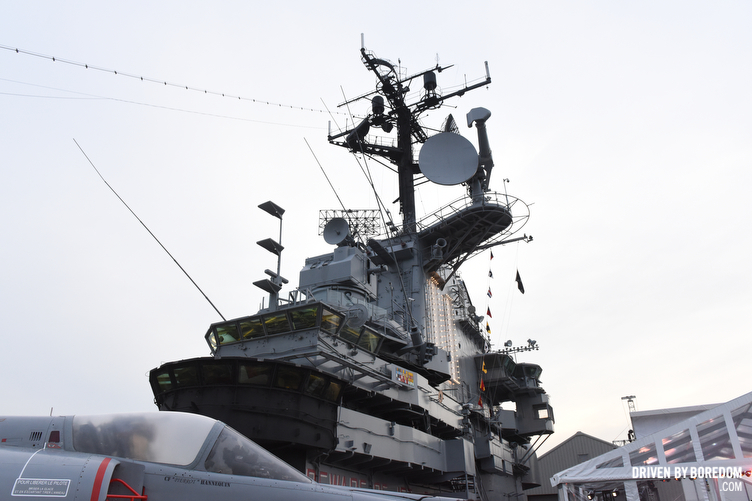 The Intrepid is a decommissioned WWII aircraft carrier that is now a museum and apparently a fantastic place to party. 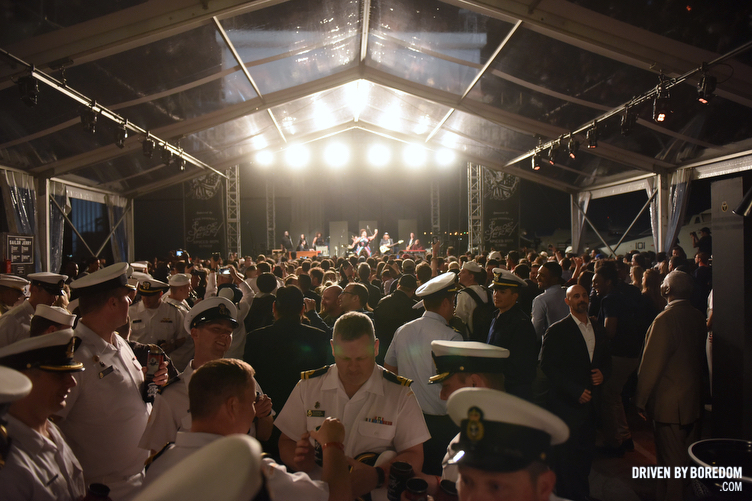 It was hard to beat the Fleet Week kick off party last year which featured Cage The Elephant and Norman Reedus but the Alabama Shakes played this year and when you mix that with the insane location it was one hell of a time. For some insane reason they gave Daniel “Gravy” Thomas a wireless mic so most of the night featured Gravy running around like a mad man buying sailors rum and hyping the party while Ian Saint Laurent DJd. 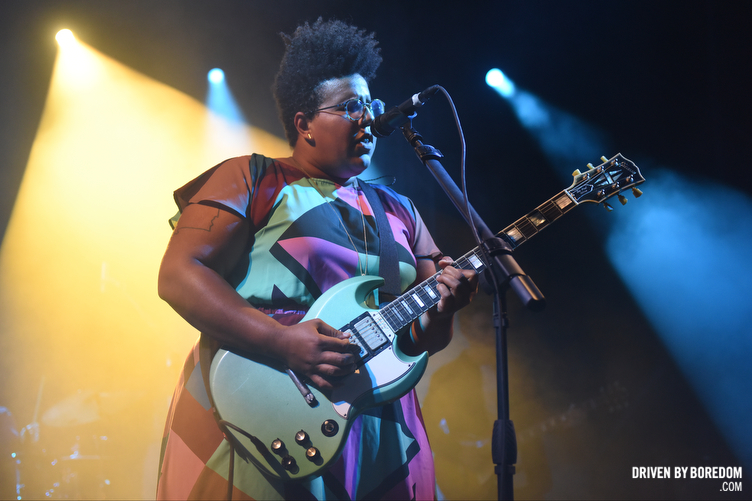 Around 9 Alabama Shakes came on and ended the party properly. I haven’t really listened to them before but I left fairly impressed. I really like some of these photos because the scenery was so amazing. You probably are gonna wanna check these pictures out. 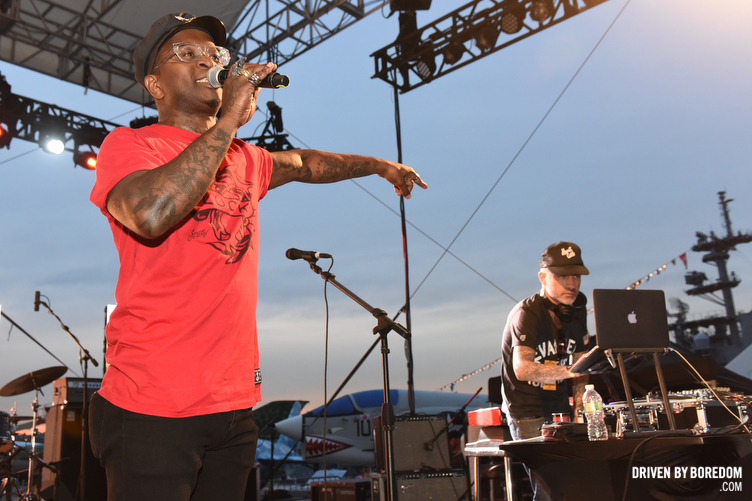 Click here to see the photos from Sailor Jerry’s Fleet Week kick off party on the USS Intrepid.